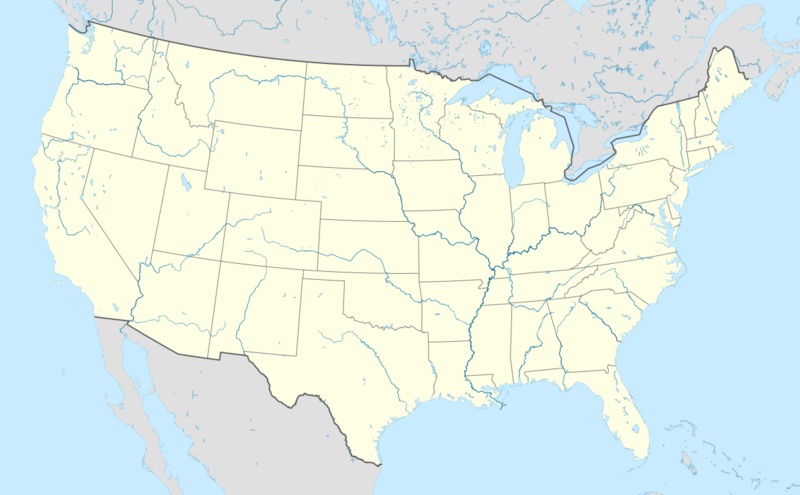 Scottsdale (O'odham: Vaṣai S-vaṣonĭ; Yaqui: Eskatel) is a city in the eastern part of Maricopa County, Arizona, adjacent to the Greater Phoenix Area. 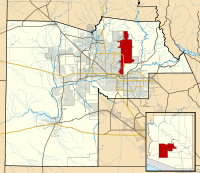 Named Scottsdale in 1894 after founder Winfield Scott and incorporated in 1951 with a population of 2000, the 2015 population of the city is estimated to be 236,839 according to the U.S. Census Bureau. The New York Times described downtown Scottsdale as "a desert version of Miami's South Beach" and as having "plenty of late night partying and a buzzing hotel scene." Its slogan is "The West's Most Western Town." Scottsdale, 31 miles long and 11.4 miles wide at its widest point, shares boundaries with many other municipalities and entities. On the west, Scottsdale is bordered by Phoenix, Paradise Valley, and unincorporated Maricopa County land. Carefree is located along the western boundary, as well as sharing Scottsdale's northern boundary with the Tonto National Forest. To the south Scottsdale is bordered by Tempe. 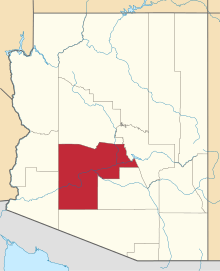 The southern boundary is also occupied by the Salt River Pima-Maricopa Indian Community, which extends along the eastern boundary, which also borders Fountain Hills, the McDowell Mountain Regional Park and more unincorporated Maricopa County land. In the early to mid 1880s, U.S. Army Chaplain Winfield Scott visited the Salt River Valley and was impressed with the region and its potential for agriculture. 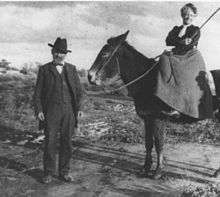 Returning in 1888 with his wife, Helen, he purchased 640 acres for the paltry sum of $3.50 ($92 as of 2015)  an acre for a stretch of land where downtown Scottsdale is now located. Winfield and his brother, George Washington Scott, became the first residents of the town, which was then known as Orangedale, due to the large citrus groves planted by the Scott brothers, who were known as adept farmers, capable of cultivating citrus fruits, figs, potatoes, peanuts and almonds in the desert town. Many of the community's original settlers, recruited by Scott from the East and Midwest, were educated and had an appreciation for cultural activities. The town's name was changed to Scottsdale in 1894, after its founder. 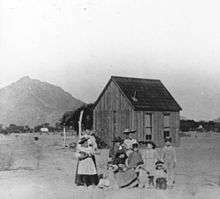 In 1896, these settlers established the Scottsdale Public School system, and opened the first schoolhouse, which was followed by the opening of the first general store by J.L. Davis, which also housed the first post office for Scottsdale in 1897. In the early 1900s the community supported a thriving artists and writers culture, culminating in the opening of the region's first resort in 1909, the Ingleside Inn, located just south of the Arizona Canal and west of the Crosscut Canal (Indian School Road at about 64th Street) in what is today Scottsdale. Also in 1909, Cavalliere's Blacksmith Shop opened in downtown Scottsdale, and the original schoolhouse was replaced by the much more expansive Little Red Schoolhouse, which remains standing to this day. While not in its original building, Cavalliere's has been in continuance operation since that time. 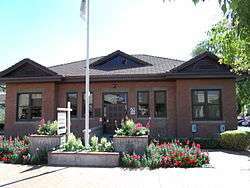 With a population of approximately 2000, the city was incorporated on June 25, 1951. The city appointed its first mayor, Malcolm White, and adopted the motto "The West's Most Western Town." The seal, depicting a mounted cowboy surrounded by a 64-pointed starburst, was designed by Mrs. Gene Brown Pennington. At the same time, the Army Corps of Engineers began to look into the problems of flooding in Maricopa County. Over the course of the next several years, they would present several plans, which all revolved around constructing concrete canals and levees to channel and divert the flood waters, as well as building bridges over the canal, similar to the storm drains of Los Angeles. However, during MCFCD meetings held between 1961 and 1963, a different course of action was being developed. This plan would become known as the multi-use, or Greenbelt, concept. The two concepts were at odds with one another until the canal plan was defeated in a bond referendum in 1965. In 1966 a study was commissioned which validated the Greenbelt concept as a way to prevent flood damage. After a major flood in 1972, work on the Greenbelt project began in earnest, and continued through 1984, by which point the major Greenbelt was completed, although minor projects continue through the current day. Today, the 12-mile (19 km) long Scottsdale Greenbelt connects four city parks — Vista del Camino Park, Eldorado Park, Indian School Park and Chaparral Park — through a 25-mile (40 km) bike path. The Scottsdale Spire, located in the southeast corner of Bell and Scottsdale Avenues in Scottsdale, was an Arizona State Capital Project designed by Frank Lloyd Wright. Its construction began in 1957, but due to Wright's death, it was not until 2007 that it was adopted and finished by the Taliesin Associated Architects. To the dismay of many businesses, in the early 1970s, the city passed one of the earliest sign ordinances, restricting the size and height of signs and billboards. The city of Scottsdale stated it was protecting the safety of its residents, which it claimed were getting into traffic accidents when craning their necks to see higher signs. The ordinance was highly controversial at the time and the city was taken to the U.S. Supreme Court, but now such ordinances are common. Scottsdale also contracted out its fire department in what was to be a wave of the privatization of operations of city government that never materialized. Afraid of lawsuits if it used the red color of fire trucks of other cities in the US, the company that took over the contract painted the fire engines chartreuse. The city also developed the first robot arm garbage truck, replacing crews who dumped cans into a train of open trailers pulled by a truck, with a single operator sitting in an air conditioned cab. From its official incorporation in 1951 with a population of 2000, the city of Scottsdale has grown to a 2010 Census count of 217,385. It is now the state's sixth-largest city. 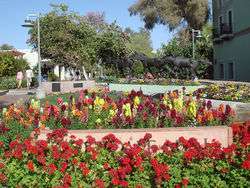 Scottsdale is commonly defined by its high quality of life, and in 1993 was named the "Most Livable City" in the country by the United States Conference of Mayors. 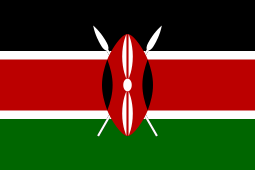 It is continually ranked as one of the premier golf and resort destinations in the world, with a sizable portion of tax revenue being derived from tourism. It is also home to the Phoenix Open Golf Tournament held at the Tournament Players Club every year and the Barrett-Jackson car show held at WestWorld. The city is loosely divided into four areas: South Scottsdale (McKellips Road north to Thomas Road), Old Town (Downtown) Scottsdale, Central Scottsdale (also known as the "Shea Corridor," extending from Camelback Road north to Shea Boulevard), and North Scottsdale. The real estate market in Scottsdale is among the most expensive in the United States. In 2005, Scottsdale was among the top ten markets in the nation for luxury home sales, and one of two cities outside of California. Scottsdale was ranked tenth with $594 million in luxury home sales. North Scottsdale is currently the most actively developed area of Scottsdale as it was historically the least built up. This portion of the city also claims many of the most expensive houses in Arizona, with many exceeding $5 million in value. 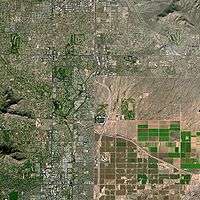 The city's borders are rapidly expanding to the east and west in this area, containing the McDowell Mountain range. Much of the residential boom in North Scottsdale is driven by available land to build coupled with the fast growth of Scottsdale Airpark, the second largest employment center in the Phoenix metropolitan, and estimated to become the largest by 2010. The Scottsdale Airpark, home to over 55,000 employees, 2,600 businesses and 23,000,000 square feet (2,100,000 m2) of office space is expected to continue growing by over 3,000 employees per year. Many important companies are headquartered or have regional headquarters in the park, including AXA, GE Capital, DHL, Discount Tire Company, Fidelity Investments, JDA Software, GoDaddy.com, The Vanguard Group, And Quicken Loans. As of the census of 2010, there were 217,385 people, there are 69,967 owner-occupied housing, 32,306 renter occupied, and 101,273 households residing in the city. The population density was 1,181.4 inhabitants per square mile (455.6/km²). There were 124,001 housing units at an average density of 673.9 per square mile (259.9/km²). The racial makeup of the city was 89.27% White, 1.67% Black or African American, 0.80% Native American, 3.33% Asian, 0.09% Pacific Islander, 2.54% from other races, and 2.28% from two or more races. 8.84% of the population were Hispanic or Latino of any race. Scottsdale is home to a large number of churches, chapels, temples, synagogues, mosques and other places of religious worship. Though the majority of Scottsdale residents consider themselves of, or practicing of, the Christian faith(s) - including Protestant and Roman Catholic - the city's high population growth over the years has resulted in a more diverse population. 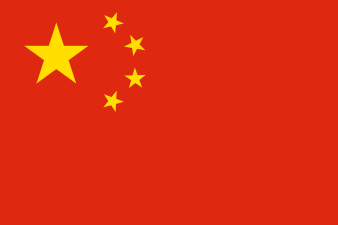 Most notably, greater numbers of Eastern Orthodox and Jews have been added to the population. Though smaller in number, Muslim, Hindu, Sikh and Buddhist communities also exist within the city of Scottsdale. 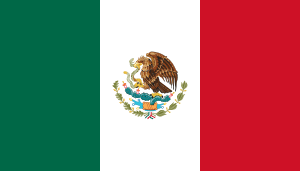 There is also a small population of members of The Church of Jesus Christ of Latter-day Saints (Mormons), as is common throughout Phoenix, Arizona, and the Western United States. Recently, a new Armenian Apostolic church was built in the city, representing the larger numbers of Armenians in the Phoenix Metropolitan Area. The region's year-round warm weather and abundant sunshine is a major factor in Scottsdale's tourism appeal. In particular, during the winter, thousands of wealthy tourists from the midwest, the northeast, and as far away as Canada(known locally as "snowbirds"), flood the area with long-term visits. These tourists, who often practice the same migration routine annually, often end up purchasing second homes in the area. Over the past several years, however, Scottsdale's growing abundance of trendy, high-end nightlife, upscale restaurants, art galleries and luxury shopping, has made it a highly popular travel destination for the younger, white-collar, more style-conscious travel set. The Mayo Clinic has one of its three major branches in Scottsdale. This and its resulting effects have made Scottsdale a strong destination nationally for medical care. The immediate area surrounding the Scottsdale Airport, known locally as the Airpark, has developed rapidly as a regional center of commerce. By 2004, the Airpark had grown to become the second-largest employment center in the Phoenix Metropolitan Area, with over 50,000 people being employed within a few-mile radius of the airport itself — notably in financial, retail, service, technological, design and manufacturing fields. The Airpark houses more nearly 2,500 individual businesses, with a combined economic impact of over $3 billion annually, and growing. The largest employment center in the Phoenix Metropolitan Area is the combined central areas of Midtown and Downtown Phoenix, with an estimated 65,000 employees. Considering the many large, yet-to-be-developed parcels and opportunities for growth in and around the still highly desired Airpark area in North Scottsdale, it is expected to overtake the central Phoenix markets in the near future, becoming the single largest center of employment in the Phoenix Metropolitan Area. Among the companies headquartered in Scottsdale are APL, Dial, Discount Tire, Discovery Land Company, Fender, Go Daddy, JDA Software, Kahala, Kona Grill, Magellan Health, Paradise Bakery & Café, P.F. Chang's China Bistro, Rural Metro, Taser, and United Blood Services. Its galleries and studios are most famous for their western and Native American themed art, though a growing devotion to the contemporary arts has taken hold over the past couple of decades – an element most visible by the large number of modern art galleries which have opened along the Marshall Way Arts District, and the opening of the Scottsdale Museum of Contemporary Art (also referred to as SMoCA) in 1999. Both are located in Downtown Scottsdale. 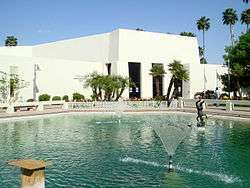 Located in the touristy Old Town district of Downtown Scottsdale, the Scottsdale Civic Center Mall is home to the intimate two-theater Scottsdale Center for the Performing Arts, the Scottsdale Historical Museum, as well as the Scottsdale Museum of Contemporary Art. SMoCA is the only permanent museum dedicated solely to the contemporary arts in the state of Arizona. Also located in Old Town, Western Spirit: Scottsdale's Museum of the West opened in January 2015, featuring historical and cultural exhibits from 19 states of the American West, including Arizona. 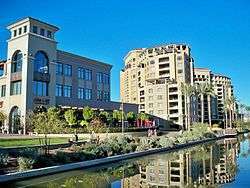 At nearly 2 million square feet, the Scottsdale Fashion Square is routinely ranked as one of the most profitable shopping malls per square foot in the Southwest United States. The center is anchored by Nordstrom, Macy's, Neiman Marcus, Dillard's, and Barneys New York department store. The center is also home to retailers Armani Exchange, Burberry, Hugo Boss, Kate Spade, Gucci, Louis Vuitton, L'Occitane en Provence, Tourneau, Swarovski, Juicy Couture, GUESS, Tiffany and Co., Ferragamo, Michael Kors, Jimmy Choo, Cartier, Abercrombie and fitch, Lucky Brand Jeans, Ed Hardy, Prada, Steve Madden, Marciano, Carolina Herrera, Bvlgari, Bottega Veneta, Lacoste and Kenneth Cole among hundreds of others. The center's Tiffany and Co. store, in particular, reported that over the past few years this location earned one of the company's highest sales figures per square foot in the United States. 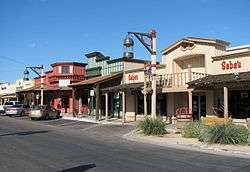 In 2009 Scottsdale fashion Square underwent an expansion and added stores such as H&M, Forever 21, Barneys New York, and True Religion. In addition to these stores it expanded across the street with places like Yogurtland, American Apparel and Urban Outfitters. Currently there are plans for Prada to open within the mall. The city currently has three additional shopping complexes planned or under construction - Scottsdale Quarter, Palmeraie and One Scottsdale - all of which will be located in North Scottsdale. The city hosts the annual Scottsdale Fashion Week each November. The event features runway shows from influential local, national and international designers, most recently and notably, Kate Spade, St. John, Betsey Johnson, and Façonnable. Named by The New York Times as one of the "hippest and most happening" places in the country, Scottsdale is home to a variety of high-end nightclubs, restaurants, hotels, lounges and bars. Over the past decade in particular, these establishments have grown in great numbers, many catering to a more "young, fashion-conscious crowd." This is evident by the growing number of trendy, style-conscious hotels that have opened up throughout Downtown Scottsdale which equally cater to the nightlife crowds. Most notably, the Morgan Hotel Group's all-white Mondrian Hotel (which went out of business), the FireSky Resort & Spa, the independent mid-century Hotel Valley Ho and the W Hotel. The Valley Field Riding and Polo Club of Scottsdale, Arizona, was built in 1924. It is located 2530 N. 64 St. The property is located within the premises of a private gated community and is in a total state of abandonment. 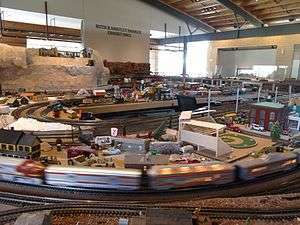 It was listed in the National Register of Historic Places in 2009, reference number 08001405. 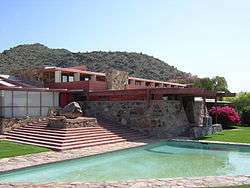 Historic Taliesin West was listed in the National Register of Historic Places on February 12, 1974, reference: 74000457. Though none play specifically in the city of Scottsdale, all of the "Big Four" North American major league sports organizations have franchises and play within the Phoenix Metropolitan Area - NBA's Phoenix Suns, NFL's Arizona Cardinals, MLB's Arizona Diamondbacks and NHL's Arizona Coyotes, as well as a WNBA franchise, the Phoenix Mercury. The city is widely known as a premier destination in the United States for golf. In all, the city is home to more than 200 area courses offering layouts that range from the rolling green fairways of traditional courses, to desert golf designs. In 2006, the Robb Report cited Scottsdale as, "America's Best Place to Live for Golf." The Boulders Resort & Golden Spa and Four Seasons Hotel|Four Seasons Resort Scottsdale at Troon North were selected in 2005 as the second and fourth best golf resorts in the nation by Travel + Leisure Golf magazine. 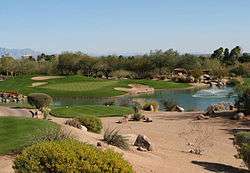 Other notable golf courses in the area include FireRock, Troon North, The Phoenician, and Silverleaf, and Desert Mountain. Phoenix Rising FC, a member of the United Soccer Leagues Professional Division, play their home matches at Scottsdale Stadium. Since 2010, the historic WM Waste Management Phoenix Open Golf Tournament – formerly the FBR Open and Phoenix Open, which originally began in 1932 - is now held annually each January at the Tournament Players Club (or "TPC") in North Scottsdale. The TPC is adjacent to the large Fairmont Scottsdale Resort. It is the largest-attended stop of the annual PGA Tour, attracting well over 500,000 people to the 4-day event alone. Hiking, rock climbing and other similar outdoor activities are enormously popular throughout the Phoenix-area, in large part to the immediate accessibility of mountain areas within or very near the city limits. Citizens flock ritually to local favorite Camelback Mountain, located in the eastern section of Phoenix, just adjacent to Scottsdale, as well as the McDowell Mountains in the more recently developed McDowell Sonoran Preserve, at the city's northeastern fringes. Public education in Scottsdale is provided for by both the Scottsdale Unified School District (SUSD), which serves most of Scottsdale, most of the town of Paradise Valley, as well as parts of Tempe and east Phoenix, and the Paradise Valley Unified School District (PVUSD), which serves northeast Phoenix and North Scottsdale. SUSD serves 25,668 students in 33 schools and employs 3,862, including 1,551teachers. SUSD's 33 schools include five high schools: Arcadia High School, Coronado High School, Chaparral High School, Desert Mountain High School, and Saguaro High School. PVUSD is the 7th largest school district in the state, with approximately 30,000 students and 3,800 employees. It contains 47 schools, including 7 high schools. The high schools which serve portions of Scottsdale are Horizon High School and Pinnacle High School. The primary institution of higher education in the city is Scottsdale Community College, which opened in 1970 on the Salt River Pima Maricopa Indian Reservation. In 1999, the school opened a second campus in the Scottsdale Airpark allowing it to serve the business community and north Scottsdale. Other institutions of higher education with locations in Scottsdale include the University of Phoenix and the Scottsdale Culinary Institute. Many students at nearby Arizona State University in Tempe live in Scottsdale and commute. Thanks in large part to State Route 101 – locally known as Loop 101 — the city of Scottsdale has convenient freeway access to nearly every city in the Phoenix Metropolitan Area, the state of Arizona and beyond. The city is home to Scottsdale Municipal Airport (IATA: SDL, ICAO: KSDL), a single-runway airport located in North Scottsdale. While the airport serves some tour and commuter flights, the plurality of aircraft operations are corporate and transient general aviation traffic. Public bus service in the Phoenix Metropolitan Area is operated as Valley Metro, and provides regular bus service. 1 2 "Population Estimates". United States Census Bureau. Retrieved June 17, 2016. ↑ "United States Census Bureau". United States Census Bureau. December 2014. Retrieved January 11, 2015. ↑ "The 31 Places to Go This Summer". The New York Times. May 31, 2008. Retrieved May 23, 2010. 1 2 "Scottsdale Overview, Page 10" (PDF). 1 2 "Hohokam Culture". Encyclopædia Britannica. ↑ "The Best of Scottsdale". 1 2 3 4 5 6 7 8 9 10 11 12 13 "The West's Most Western Town". Scottsdaleaz.gov. 1 2 3 4 5 "History of Scottsdale". Scottsdale Convention & Visitor's Bureau. 1 2 "About Scottsdale". InSider Scottsdale. ↑ "Scottsdale's History in Pictures". Scottsdale Public Library. ↑ Phoenix City Directory. Arizona Directory Company. 1912. p. 3. ↑ "Scottsdale's History in Images". Scottsdale Public Library. ↑ "Scottsdale Historic Register" (PDF). Scottsdaleaz.gov. 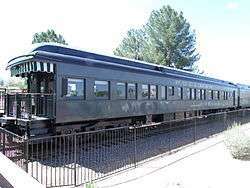 ↑ "Electric Railway Journal articles archived by the Phoenix Trolley Museum". Retrieved 2011-07-11. ↑ "History of Cotton in Arizona: A Timeline" (PDF). Jandatri.com. Archived from the original (PDF) on January 27, 2015. Retrieved January 27, 2015. ↑ "Jokake Inn History". The Phoenician Inn. ↑ "Taliesin Historical Legacy". Taliesin. ↑ "The Frank Lloyd Wright Spire". Live Better in Scottsdale. ↑ "Scottsdale Airport History". 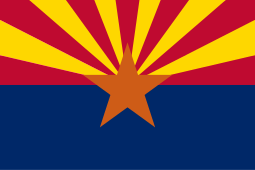 Scottsdaleaz.gov. ↑ "Papago Park POW Camp". ↑ Myers, Patricia Seitters. "Scottsdale: Jewel in the Desert". 1 2 "Indian Bend Wash Book" (PDF). Scottsdaleaz.gov. 1 2 "Key Events in the History of Scottsdale". Scottsdale Museum. 1 2 "The Story Behind Scottsdale's McCormick Ranch". Arizona Oddities. ↑ "History of McCormick Ranch". McCormick-Stillman Railroad Park. ↑ "McDowell Mountain Ranch History". 1 2 "DC Ranch History". ↑ "What Trail Led Us Here". McDowell Sonoran Conservancy. 1 2 3 "Indian Bend Wash: Construction Complete." United States Environmental Protection Agency. Page last updated on February 16, 2007. Retrieved on February 28, 2007. ↑ "Scottsdale History." Scottsdale Convention & Visitors Bureau. Retrieved on June 1, 2006. ↑ "Best Golf States". Golf Digest. ↑ "Top 10 Golf Destinations". Golf Travel. 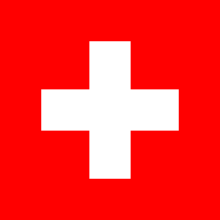 ↑ "Top 10 Golf Destinations In The World". Top Golf. ↑ "Top 10 US Golf Destinations". Accuweather. ↑ "Top 10 Golf Destinations". World Travelers. ↑ "Top 10 Golf Locations". Travels Madness. ↑ Butler, Jay; Lambrakis, Christine. "Greater Phoenix August Resale Market Housing Price Increases Slow." Arizona State University. September 14, 2005. Retrieved on August 9, 2006. ↑ "SkySong: Project Overview." skysongcenter.com. February 2007. Retrieved on April 29, 2007. ↑ "Largest Shopping Malls in the United States (2004)." American Studies, Eastern Connecticut State University. December 17, 2005. Retrieved on August 9, 2006. ↑ Christie, Les. "Real estate cools down." CNN (CNN Money). May 16, 2006. Retrieved on July 6, 2006. ↑ "Ritz-Carlton to build $400 million Scottsdale resort-residential complex". USA Today. 2006-06-22. Retrieved 2008-09-01. ↑ Balazs, Diana (2008-07-15). "Ritz-Carlton developer won't appeal ruling". The Arizona Republic. Retrieved 2008-09-01. ↑ "Average Weather for Scottsdale, AZ – Temperature and Precipitation". Weather.com. Retrieved 2008-04-20. ↑ "U.S. Decennial Census". 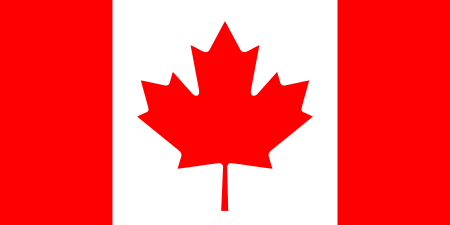 Census.gov. Retrieved May 3, 2014. ↑ History of CBI, Synagogue website, Our Community. Accessed December 4, 2008. ↑ Ettenborough, Kelly. Arizona's Sanctuaries, Retreats, and Sacred Places, Big Earth Publishing, 2003, 9781565794382, p. 25. ↑ "Headline News." Downtown Scottsdale Bulletin. November 7, 2006. Retrieved on April 18, 2007. ↑ "AAA/CAA Five Diamond Hotels - January 16, 2015" (PDF). AAA. January 16, 2015. Retrieved February 27, 2015. ↑ Hogan, Shanna. "Scottsdale is tops in country for spas." East Valley Tribune. July 11, 2006. Retrieved on July 13, 2006. ↑ Roxborough, Shannon. "Tourists often wind up buying second homes." northjersey.com. April 15, 2007. Retrieved on April 18, 2007. ↑ "Mayo Clinic Scottsdale (website)." Retrieved on April 29, 2007. ↑ Scharnberg, Kirsten. "A new sin city: 'Snottsdale'." Chicago Tribune. July 4, 2006. Retrieved on July 6, 2006. ↑ Rose, Jaimee. "Welcome to Marissa's world." Arizona Republic. April 26, 2006. Retrieved on July 6, 2006. ↑ cpcomapreable, Judy. "Scottsdale Arabian Horse Show." About.com. Retrieved on August 9, 2006. 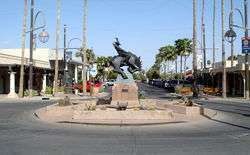 ↑ "Scottsdale Jaycees Parada del Sol - History." Scottsdale Jaycees. Retrieved on August 16, 2006. ↑ "Listings of Scottsdale Art Galleries." Scottsdale Convention & Visitors Bureau. Retrieved on July 6, 2006. ↑ Staff Writer. "Things to do in Phoenix." The Arizona Republic. June 7, 2006. Retrieved on December 7, 2006. ↑ "Scottsdale's Museum of the West". Scottsdale's Museum of the West. February 17, 2015. Retrieved February 17, 2015. ↑ "Save the date ... for a really long time". October 26, 2008. ↑ Higgins, Michelle (September 23, 2005). "Where's the Party? Scottsdale!". The New York Times. Retrieved May 23, 2010. ↑ Clark, Jayne (December 20, 2007). "Old West meets New West in Scottsdale, Ariz.". USA Today. Retrieved May 23, 2010. ↑ "Scottsdale Stadium." City of Scottsdale (website). Retrieved on April 18, 2007. ↑ Bennett, Liam. "Scottsdale's Fantasy 18." Scottsdale Convention & Visitors Bureau. Retrieved on June 1, 2006. ↑ Staff Writer. "2005 World's Best Golf Resorts." Travel + Leisure Golf. Retrieved on July 6, 2006. ↑ Scarp, Mark (2008-12-04). "Gonzales left his creative imprint on Scottsdale". East Valley Tribune. Retrieved 2009-01-04. 1 2 "Scottsdale Unified School District: About Us.". Scottsdale Unified School District. Retrieved January 24, 2014. ↑ "Paradise Valley Unified School District Description". Paradise Valley Schools. ↑ "Paradise Valley Unified School District Schools". Paradise Valley Schools. ↑ Fudala, Joan (2001). Historic Scottsdale: A Life from the Land. Singapore: Historical Publishing Network. p. 77. ISBN 1-893619-12-5. ↑ Powell, Brian (2007-12-13). "City opts for seat at Valley light-rail planning table". East Valley Tribune. Archived from the original on July 27, 2009. Retrieved 2009-02-01. ↑ "Interurban Line Proposed". Phoenix Gazette. 1913-06-20. ↑ Schwieterman, Joseph P. (2004). When the Railroad Leaves Town: American Communities in the Age of Rail Line Abandonment, Western United States. Kirksville, MO: Truman State University Press. p. xxiv. ISBN 1931112134. OCLC 56968524.